Track 3 - How Many Whores? DJ BC is best known for his mashup of Beatles and Beastie Boys tracks entitled "Let It Beast". 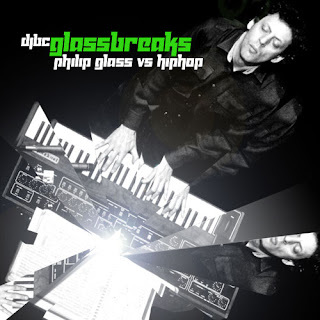 For this album he combines the work of legendary composer Philip Glass with various hip hop acts. The resulting music ranges from inspired ( "Glass Prison", "Gangsta Rubric" ) to the insipid ( "Lil' Tut" ) with much variation in between. It is a concept which has the potential to offend classical and hip hop enthusiasts in equal measure but as a fan of cinematic beats I was fairly satisfied with the results. There is an interesting article about DJ BC and the creation of the album which you can read here. I've never even heard of this dude and I'm offended already just by the description. Great website though, you've more than earned a few trespasses.